Cartoonist B. Kliban (1935–1990) loved cats (no surprise there) and usually had several living with him. One day in the early 1970s, Kliban was hard at work doodling and thinking up ideas for cartoons when four striped kitties began demanding his attention. 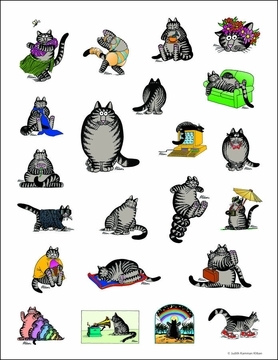 It could have been acatastrophe, but instead of getting angry with his furry friends, Kliban started drawing doodles of them. That moment turned out to be acatalyst for success. Kliban’s editor saw these cat cartoons, loved them, and convinced Kliban to show them to a book publisher. 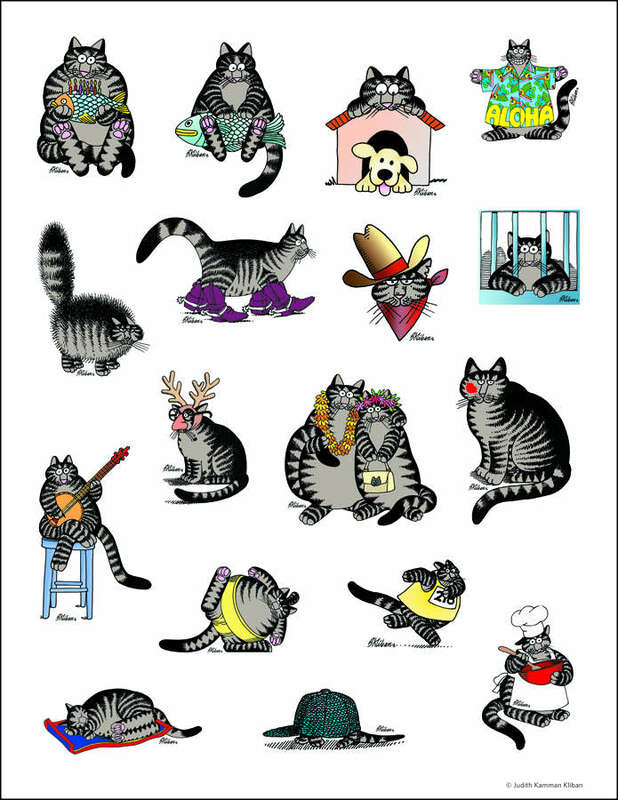 The frisky felines captured the publisher’s heart (and funny bone), and Cat was born to the world. 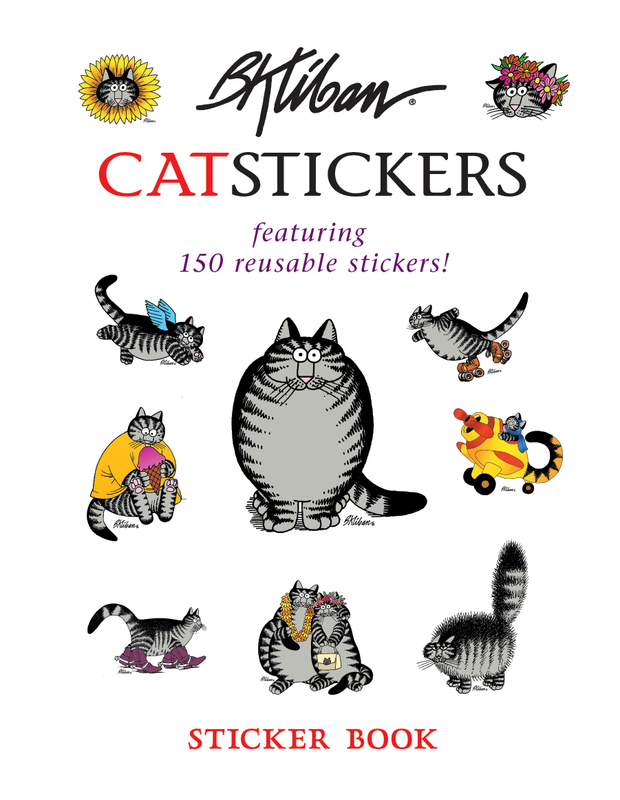 The first book (simply calledCat) was published in 1975 andcatapulted Kliban to fame. Lots of colorful Cats followed, until Cat became the ultimate cat to collect—a trusted friend, and a guaranteed source of smiles. 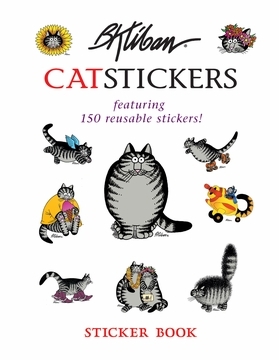 Cat’s reign of zany fun continues to this day, as you can see in the 150 stickers in this Sticker Book. Whether they’re skating, surfing, or just being silly, these are the coolest cats you’ve ever seen!